Join the ‘original’ Employee Discount Program! 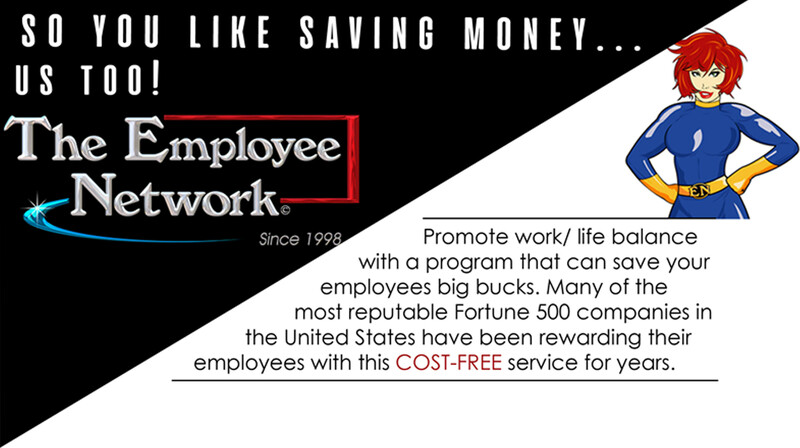 Exclusive Access to Discounts for Your Employees! Our Mobile Friendly site provides a personalized Electronic Membership Card to each member for easy, on-the-go use! Our weekly Newsletter announces exciting, new additions to our Merchants, hot deals, contests, and upcoming Road Show Events. We bring the party to you for an informative and fun-filled Road Show that features a group of our merchants in a non-soliciting environment for your employees to learn about their discounts and win cool prizes! Our Printed Directories include all of the discounts available to your employees. This gives them an “At a Glance” overview of their discounts. Through social media we advertise specials as well as seasonal discounts for your employees. Join our elite partners & start saving now! Click here to contact us about joining!